Manage your network marketing business from the palm of your hand, wherever you are, without any fuss with the most comprehensive MLM business platform available for network marketing leaders! WHO IS THIS MLM BUSINESS PLATFORM FOR? 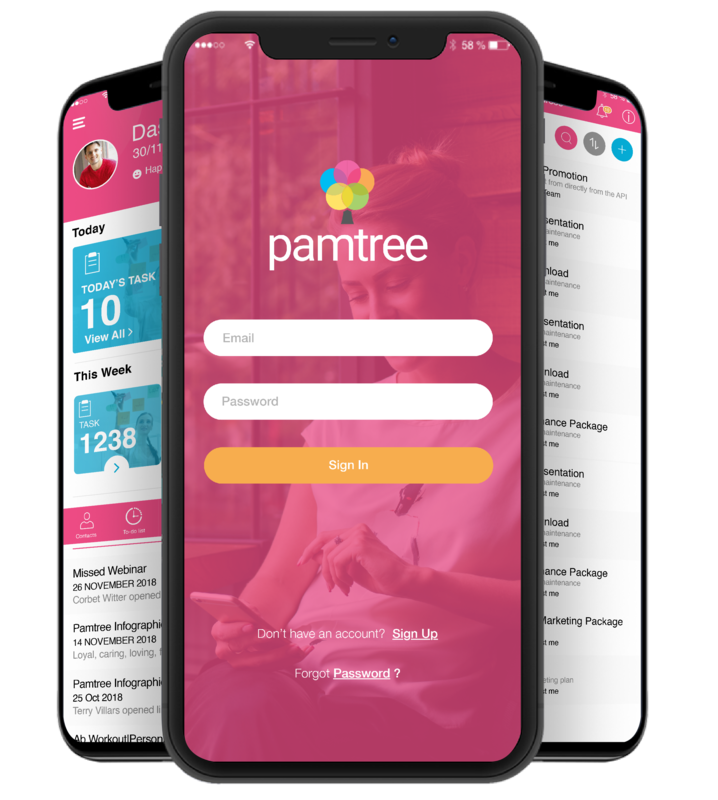 Pamtree was created especially for network marketing professionals — each and every feature of our business platform and MLM app was designed to help you grow your business in a flexible, manageable way, without any wasted time. Running a network marketing business can be time-consuming, so it helps to work smarter wherever you can. The Pamtree app helps you stay on top of things by keeping a complete record of your latest business activity. It also keeps track of customers, orders and re-order dates, so you can identify sales opportunities and grow your business faster. The more time you invest in your team members, the more successful your business will be, but things can get a little tricky if you don’t have a good system in place. The Pamtree app was designed to help you catch the follow-up opportunities needed to grow your network quickly. Use it to support your team members and give them the care and attention they need to become seasoned network marketing professionals. Find new prospects on social media and quickly add them to your contact list with just a couple of clicks! Use our high converting templates to easily create your own sales funnel to make prospecting a breeze and you'll be building your business faster than ever before. Why spend thousands of pounds on complex software to run your business, when you can do it all from one simple app? Keep performance levels high by identifying team results, and create learning resource libraries to help train teams for better success. Business insights will show you how to keep your business growing. manage a to-do list for all your business tasks, including reoccurring tasks to you never forget a thing! Track your customers, orders and profit in just a few clicks! invite your team and easily share message templates, training materials and prospecting videos in a single click so they have everything they need to run their business effectively at their fingertips. Pamtree is a free business platform and MLM app, created just for network marketing professionals. Instead of lugging a heavy binder around or spending countless hours chained to your desk, you can download one simple app and see what it really means to work ‘flexibly’. 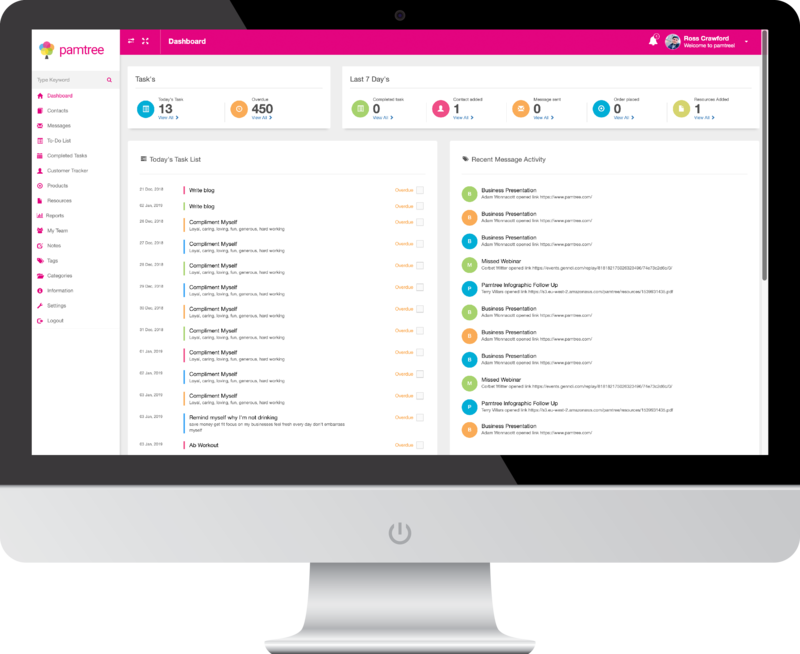 Manage contacts, create to-do lists, track customer and business activity, send and receive prospect messages, all at the tap of a button. It’s as easy to use as Facebook — just download and go! Pamtree can be used on mobile, desktop and tablet devices, so no matter where you are or how you like to work, your business information is always waiting right at your fingertips. Much more than just a list of contacts, Pamtree will show you exactly where each person is in the prospecting process. It shows you who you’ve sent samples to, which customers have been buying, and who needs a follow-up. Communication is a huge part of business, but it shouldn’t take all day! Pamtree lets you create message templates, so you can easily send compliant, ‘best practice’ messages. Quickly search your business messaging history and even receive notifications when someone clicks on your links, so you can follow-up more efficiently, increasing the effectiveness of your follow up! Task lists might sound old-fashioned, but they get the job done! Upgrade your paper task list by making one on Pamtree, instead. 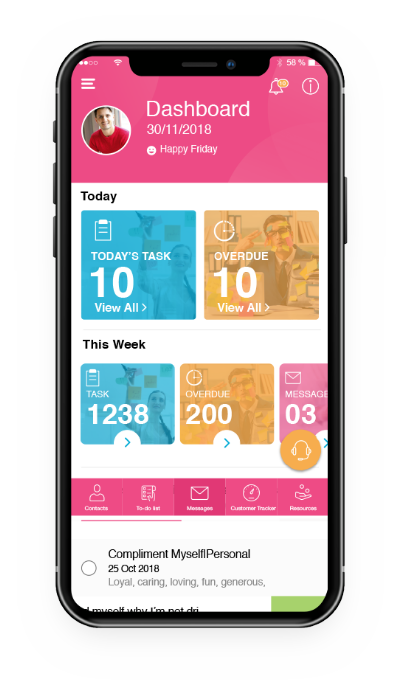 Work smarter and never forget a thing by prioritising tasks and keeping track of outstanding or completed jobs, all from our app! Learning to use your time effectively is the fastest route to quick business development and less time wasted. Pamtree’s activity tracker shows you where most of your time is spent, so you can discover which activity patterns get the fastest, best business results. Then repeat these activities. What if you could carry a product brochure around with you at all times? Now you can! Pamtree lets you update product information and filter inventory, so you can quickly pull out the best products for your customers’ needs. Keeping an entire team on the same page and fully trained is simple with the Pamtree app. You can use it to upload training videos, marketing materials, and useful information which can be accessed by anyone, anytime, anywhere. Keeping an eye on all your customers is easier than it sounds. Pamtree reveals purchasing behaviour and analyses ordering history, so you can take steps to get more sales. Take fast follow-up action on lapsed customers and even flag actions on late ordering, to prevent revenue drop-off before it happens. Write notes and attach them to your contacts so you never lose track of anything and keep everything nicely organised. Invite your team to Pamtree and easily coach your business owners to success using this revolutionary platform. Easily create personalised landing pages to use in your marketing activity so you can attract prospects and have them complete forms that put their contacts details directly into your Pamtree account. Use our Instagram growth tool to automate processes that will help you grow your Instagram followers with relevant people, who you can prospect. Adding new contacts from Facebook, LinkedIn and Instagram is super simple (just 2 clicks!) thanks to our new Chrome extension. Using our detailed reporting you'll be able to quickly and easily identify trends in your business and see how your team is performing. This help will you plan team incentives, and reward and recognise those who are working hard in their businesses. Make sure your advertising is working for you by tracking your Facebook and Google Ads. 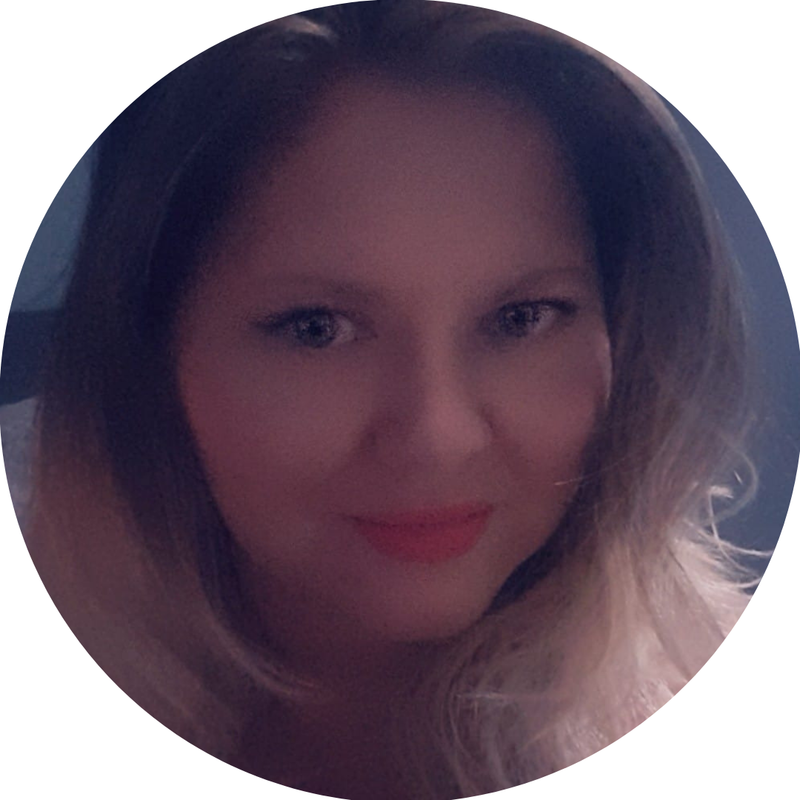 Ross is a digital marketing specialist with more than 10 years' experience developing online marketing campaigns that generate millions of pounds. Having run his own network marketing business in the past, Ross is familiar with the industry and the challenges business owners face, which is why he decided to develop a platform and mobile app that will help distributors save time and build bigger, more successful businesses. Fraser brings a wealth of general business experience to Pamtree from a diverse range of business sectors. He has worked in both industry and private equity, and held Board seats on many large, international businesses including EMI Music, Meridien Hotels and Resorts, William Hill and Vonovia. Fraser has co-founded and supported a number of start-ups, including a video production company and a restaurant business. He is excited to now be focussed on the needs of the dynamic MLM sector. start using Pamtree to help you and your team grow faster than ever before! "This is a great app that helps me manage my forever business on the go. Now I really can make the spare 5 mins I have here and there count! So much easier having the product info, customer orders and all my contact info in one place. I don’t think I could run my business without it now." And there are no contracts to get tied to, you can upgrade or downgrade your subscription as you please. We do not take any payments details upfront for our Standard subscription as it's a free plan. When you register for our Business plan, you will get a 7-day FREE trial so you can familiarise yourself with it before you start to pay. If you’re not doing this, your MLM business will fail! Use Pamtree on any device; desktop, tablet or mobile. Simply download and get started! What makes Pamtree different to other systems? Pamtree is designed and built by ex-network marketers and had input from more than 400 business owners from over 50 different MLM companies. 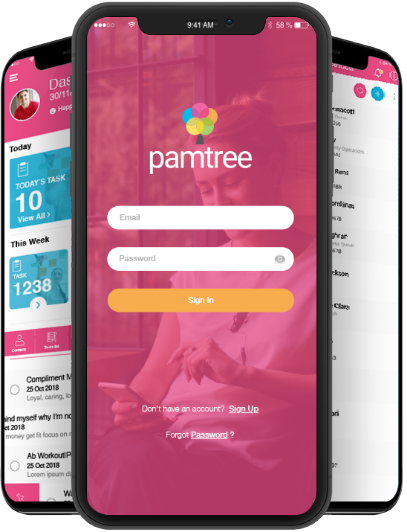 Pamtree is a platform and MLM app designed specifically for the network marketing industry and we have teamed up with expert digital marketers to create an app with a range of features designed to help each MLM business owner grow bigger, faster. How do I setup Pamtree to use with my team? We offer a free online workshop for teams where we work with teams on an individual basis to ensure Pamtree is set up effectively for you and your teams, so you can use you proven processes and roll them out through this technology platform. Are there any limitations to the Standard (Free) version? There are no restrictions to any of the features in the Standard subscription. The Business and Professional subscriptions offer extended features and functionality that will further benefit network marketing professionals. Can I invite my team to use Pamtree for free? Yes, you and your team can all use Pamtree for free, with our Standard subscription. However, we recommend the Business or Professional subscriptions for teams as they offer additional features specifically for teams, to help make them more efficient and grow faster together. Yes, you can export your data at any time from within Pamtree. What type of support is there for Pamtree users? We offer online chat support as well as email and phone support, and we will run regular webinar trainings to help you and your team make the most out of the MLM business app. Yes, your data is secure with Pamtree. Our database is hosted by Amazon Web Services (AWS), one of the world's most secure and reliable cloud service providers. Our main servers are in the UK and we back up every day to AWS servers in Australia to enhance data protection and business continuity. We comply with the data protection laws, under GDPR, to ensure that all the data held by Pamtree is protected. Pamtree does not store any of our customers’ payment card details. Yes, we don't tie any users in. 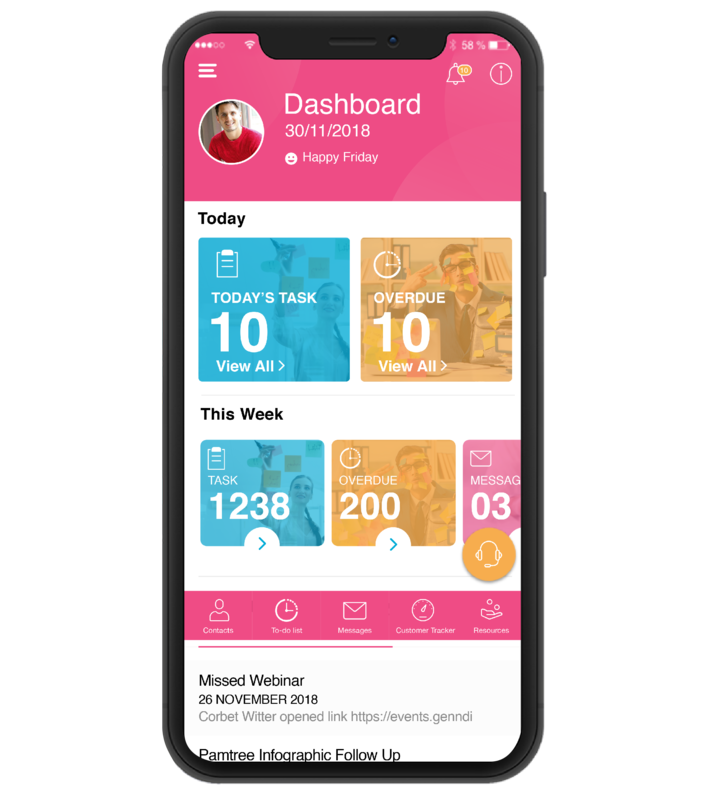 We offer 3 subscriptions, including the Standard subscription, which is completely free to use, so if you find you are not using the Business or Professional features, then you can downgrade to the Standard subscription and use the MLM app for free. Alternatively, you can deactivate your account altogether should you wish to. Email Address* Please enter a valid email. Message* Please enter a message.